Even as it waged a campaign against Venezuela's Nicolas Maduro, Canada's government was engaged in a much less visible effort to pressure another Latin government that has long been a darling of the left: the ruling Sandinistas of Nicaragua. But while Canada was at the forefront of public diplomacy against Maduro's*"Bolivarian"*regime in Venezuela, it chose to keep its actions against the Sandinistas out of the public eye, according to a Global Affairs memorandum obtained by CBC News under access to information. The memorandum, dated August 27, 2018, is marked "Secret"*and signed by Deputy Minister of Foreign Affairs Ian Shugart, who has since been elevated by Prime Minister Justin Trudeau to replace Michael Wernick as clerk of the Privy Council, the top public servant in Canada. The memo begins with a description of the "nationwide crisis" that started in Nicaragua*with anti-government protests in April. "Almost all independent observers agree," the memo reads,*"that the government of Nicaragua is directly responsible for over 300 fatalities and 1,000 injuries, as well as a range of human rights abuses that include excessive use of force by police and paramilitaries against unarmed civilians, arbitrary use of lethal force [extrajudicial executions], arbitrary arrests and intimidation." The document goes on to discuss measures that were being taken by Canada at the time, and other measures it might consider "should the situation continue to deteriorate." The actions taken at the time included putting a stop to all federal government payments to the government of Nicaragua. "The department does not recommend a public announcement of this decision," the memo says. In fact,*there never was one. "Canada is one of the top five largest bilateral donors to Nicaragua, with an overall assistance program of approximately $20 million per year via all aid channels," the memo notes. "However, given that the government of Nicaragua no longer meets the conditions for the provision of direct Canadian financial assistance to partner countries, the department has suspended all future payments to the government of Nicaragua for the five projects mentioned above." A $19.8-million rural electrification project. This project was scheduled to continue into 2019 to help connect 12,500 households in the Nicaraguan countryside to the electrical grid. Enatrel, Nicaragua's state-owned power company, is the official partner. Growing Climate-Smart Family Enterprises. This $7.9-million project with the Nicaraguan Ministry of Family*was scheduled to run through to 2023. Preventing Adolescent Pregnancies. This sexual health and reproductive health program also involves Canada's Ministry of Families and Social Development*and would have received $7.6 million from Ottawa by its end in 2022. Inclusive and violence-free communities. Nicaragua's National Police is the partner in this five-year,*$7.35-million project. The police are one of the main agents of government repression in Nicaragua. Technolinks+. This program intended to improve the productivity and income of 35,000 small farmers in poverty-stricken northern Nicaragua, is administered*by the Mennonite Economic Development Associates, with a value of $9.5 million and a timeline of 2016-22. The suspension of the electrification project ends an effort that stretches back to 2009*and has seen hundreds of rural communities in Nicaragua connected to the grid. "While there is no intention to publicly announce Canada's suspension of direct aid to the government of Nicaragua," reads the memo, "the decision can reach the public domain at any point and it would likely generate media attention." The decision to cut Nicaragua off came as a violent crackdown by the Sandinista government was peaking. Protests began in earnest in April 2018*with student-led demonstrations that quickly spread to other sectors of the population. In July, a national strike and a series of marches rocked President Daniel Ortega's unpopular administration. 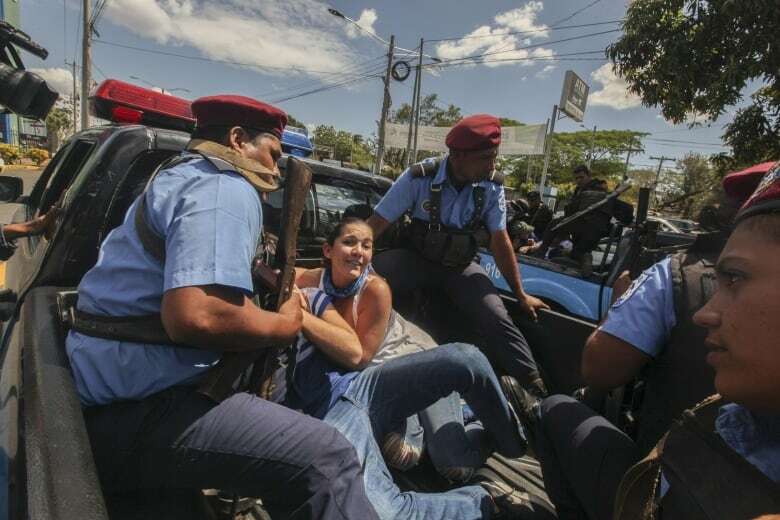 Nicaraguan police and Sandinista militiamen cracked down fiercely. 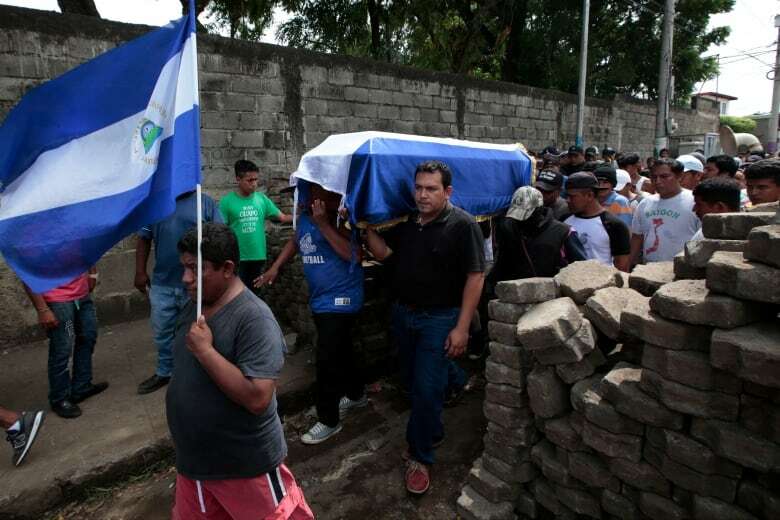 Government supporters launched a series of attacks on the Nicaraguan Catholic Church, seen as sympathetic to the opposition. 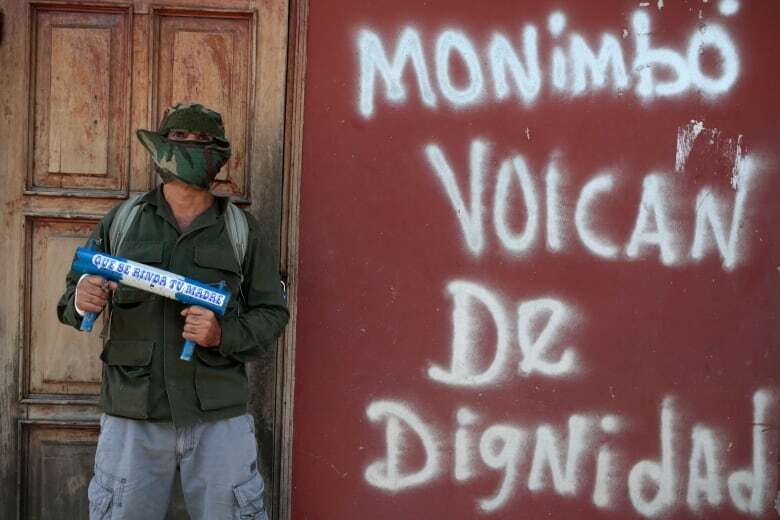 In the third week of July, pro-government militia and police violently took over Monimbo, an Indigenous community south of Managua that became the epicentre of opposition protests, and Sandinista authorities put two of the country's most prominent peasant leaders on trial for terrorism. The Ortega regime also began its harassment of the UN High Commissioner for Human Rights*mission in Nicaragua*that would culminate in the delegation's expulsion in September. By August, a wave of arrests and firings*— mostly targeting doctors, nurses and teachers*—*was driving about 200 Nicaraguans a day to seek asylum in neighbouring Costa Rica. Adam Austen, spokesperson for Foreign Affairs Minister Chrystia Freeland, said the situation has not improved since the memo was written. "Our government is concerned by the deteriorating human rights situation and economic downturn in Nicaragua. In light of these concerns, we made the decision to suspend direct financial assistance to the Nicaraguan government last summer," Austen said. "We continue to provide support for projects that are implemented by NGOs and international organizations, with a focus on help for the most vulnerable. Nicaraguan ambassador Maurizio Gelli did not respond to CBC News'*request for comment. Not all of Ottawa's money for the projects was to be disbursed directly to the Nicaraguan government or Enatrel: $5.64 million that has been disbursed already*is supposed to be frozen, while a further $7.39 that was to be disbursed during 2018-9 has been suspended. "The department will also instruct the government of Nicaragua to freeze the use of any funds that have already been received, but remain unspent," says the memo. "The department will communicate this decision in the coming weeks via diplomatic note to the government of Nicaragua, copying Nicaragua's ambassador to Canada." Speaking on background, an official at Global Affairs Canada said he could not say whether the Nicaraguan government was complying with that request, or was still spending Canada's money. The official told CBC News that the reason for keeping the aid suspensions quiet was to give the government of Nicaragua a chance to respond to Canadian pressure without appearing to be acting under duress. The official said it's not uncommon in the early stages of a pressure campaign for Canada to act discreetly, to allow another government to rectify problems without losing face. But the official added that Canada may still step up its pressure on the Sandinista government, saying that Freeland "is personally invested" in the Nicaraguan issue. Also on the table: a potential downgrading of relations between Canada and Nicaragua — something which already occurred with Venezuela in 2017. The Mennonite agency that administers one of the frozen programs acknowledged that the decision to freeze disbursements has had an effect. But Mennonite Economic Development Associates say it continues to work with small farmers in rural Nicaragua. "MEDA has been engaged in Nicaragua for three decades, and our work continues to build on earlier initiatives and partnerships," said the organization's Krista O'Brien. "Our outcomes are increased agricultural productivity, product quality and profitability for 35,000 female and male farmers, and for 85 processors and distributors. Additionally, the project will create 850 jobs in the agri-food sector. "While direct disbursements to the government of Nicaragua have been suspended, all the planned activities are being implemented as we are still being funded, and our project is still active and achieving results. We have a strong relationship with Global Affairs Canada and have open lines of communication with them." Another project that may be affected, says the memo, is a government-to-government contract whereby Canada helps to maintain Nicaragua's electronic national lottery. That contract runs through the Canada Commercial Company, which didn't respond to CBC's request for comment. The memo also mentions the possibility that deteriorating relations could affect Canadian companies working in Nicaragua's mining and apparel industries.